In this article, we explore challenges encountered by K-12 educators in establishing classroom cultures that support creative learning activities with the Scratch programming language. Providing opportunities for students to understand and to build capacities for creative work was described by many of the teachers that we interviewed as a central aspiration of learning and education. But creative learning is an iterative process that necessarily involves moments of getting stuck, not knowing, being wrong, and failing — moments that conflict with how learning is enacted in many school settings. The analysis is organized into three thematic clusters that elaborate this conflict: teacher vs. self, teacher vs. student, and teacher vs. culture. Teacher vs. self explores the role of teacher identity and psychology in supporting creative activities in the classroom. Teacher vs. student discusses unanticipated resistance from young learners encountering creative activities in school settings. Teacher vs. culture describes how expectations from beyond the classroom setting can constrain creative activities within the classroom, including the role of parents, administrators, and policy. Brennan, K. (2015). Beyond right or wrong: Challenges of including creative design activities in the classroom. 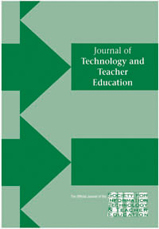 Journal of Technology and Teacher Education, 23 (3), 279-299. Waynesville, NC USA: Society for Information Technology & Teacher Education. Retrieved April 26, 2019 from https://www.learntechlib.org/primary/p/151249/. Brennanamabile, T.M. (1983). The social psychology of creativity. New York, nY: Springer. Boyd, D., & Crawford, K. (2012). Critical questions for big data: Provocations for a cultural, technological, and scholarly phenomenon. Information, Communication& Society, 15(2), 662-679. Brennan, K. (2013). Learning computing through creating and connecting. IEEE Computer, Special Issue: Computing in Education. ., & Resnick, M. (2013). Imagining, creating, playing, sharing, reflecting: How online community supports young people as designers of interactive media. In N. Lavigne and C. Mouza (eds. ), Emerging Technologies for the Classroom: A Learning Sciences Perspective (pp. 253-268). Dweck, C. (2000). Self-theories: Their role in motivation, personality, and development. Lillington, nC: Psychology Press. Ito, M. (2009). Engineering play: A cultural history of children’s software. Cambridge, Ma: MIT Press. Klopfer, E., & Osterweil, S. (2013). The boom and bust and boom of educational games. In Z. Pan, A. Cheok, W. Müller& F. Liarokapis (eds. ), Transactions on Edutainment IX (Vol. 7544, pp. 290-296): Springer Berlin Heidelberg. Merseth, K.K. (1990). Case studies and teacher education. Teacher Education Quarterly, 17(1), 53-62. Saldaña, J. (2013). The coding manual for qualitative researchers (2nd ed.). Thousand Oaks, Ca: SaGe Publications.